If you would Be so kind ,please fill in the blank in the comment section below. 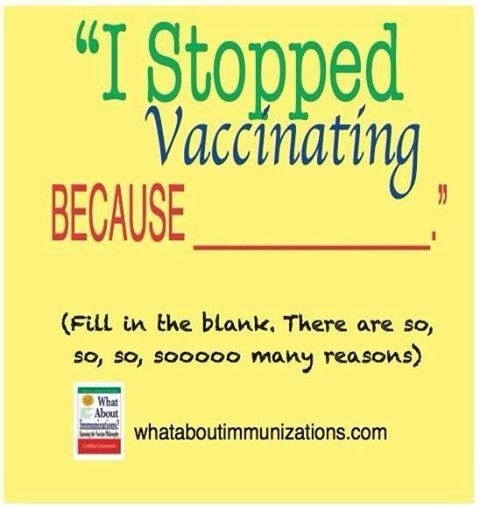 I was vaccinayed 3 times when I was young and I almost died on each occasion. In one case they had to fly a specialist doctor in from Toronto to Quebec City where I lived with my parents in order to save my life. That was in 1941. How would that benefit my health anyway??? Magnus. In the best way, nothing would happen to you. Usually they lower your immune deefeenses and leave you open to many viruses & bacteria.